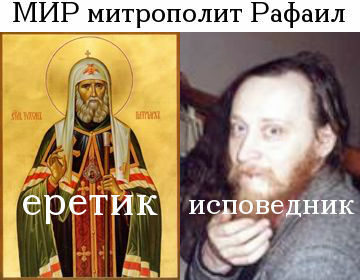 Beloved in the Lord Archpastors, pastors, honest monk and monasticism, brothers and sisters – return to persecution and undefeated in the witnessing of faith children of the Russian Orthodox Autonomous Church! us, like a Blagoutroben, renewing nature. Hosts of choirs of angels, over the fields of Bethlehem glorified newborn praise God, now sing with us, earth-born, of the greatness of God’s love, for “God so loved the world that He gave His only begotten Son, that whosoever believeth in him should have eternal life,” and “had it more abundantly “(John 10:10). But now these legions of angels, which is invisible to us perform the Divine Liturgy, close their eyes, because they can not see the creation of the glory of God. How much more God has honored man, the nature of which he is now perceived in His Christmas that we are sinful and infirm people, not only contemplate the mystery that is inaccessible by the angels, but also to take a body and blood of Christ. After the birth of Lord Jesus Christ in this world, steeped in evil, he entered God holiness itself and truth itself, before which every sin is intolerant, hateful every untruth. After Birth Child Christ we know and the secret of our own existence, which is intended to be the divine being. We should be clear now that our lives are not true in the body, which is bound to rot, and the soul that precious world. Yes, the soul of a man is the whole world, for even the Son of God gave His life for her on the cross to believeth in Him should not perish, but disappeared after the death, but have everlasting life. However, as taught by the Holy Church, and the human body will participate in the resurrection and eternal life, but the body of a new, glorified, not able to feel no sickness, no sorrow, no suffering – as the body of Christ after his resurrection. Threatening cloud over the justice of God was heavy upon the Old Testament humanity. But Christ was born and dispersed this cloud. We were covered with wounds of sin, but Christ the Liberator was born and destroyed the bonds of human captivity of sin. The truth of Christ opens people special path of enlightenment – the path of moral and spiritual formation through the commandments and follow the Savior’s example. Despite all of this, humanity will not accept Christ, it still myatetsya from ignorance of God, from lack of faith and unbelief, of hate for one another, envy, sadness and despair, of war and rumors of disasters. One ideology after another, if yesterday fought for some ideals, tomorrow will fight for the opposite. Each “experiment” kills without any sense of life for millions of people. And each new fashionable ideology is a lie, because it is God invents. Lies and hypocrisy rampant in the world today, which lies in wickedness. But they do not destroy the truth, but only show that man can not save himself and to find meaning in his throwing out the light of knowledge of Christ’s truth. “Blessed are the pure in heart: for they shall see God” (Matt. 5:8). For pure human heart opens the kingdom of Christ, which, according to the word of the Lord, laid within each person. Sacred event Holy Christmas night should enter into our hearts, in our homes, in our everyday life gray quiet grace gait. It is intended to help us understand the spiritual meaning of what our salvation must be applied force and work hard. And then everything seemed to us such a great and important, in fact be worthless and irrelevant to our eternal salvation. Confessors of faith in Christ, the holy martyrs, from the very beginning of the history of Christianity showed his loyalty to Christ “even to the shelter,” their faith conquers death, which they were for the faith, because faith updated their hearts and gave strength to witness the divine economy of salvation person. They were offered a choice to avoid the scorn of society, physical suffering, they can save lives, well-being, have an established family life, work, but they rejected it for the sake of Christ and His Gospel of salvation. Open to them the truth makes them free from even the fear of death, for it is written: “You shall know the truth, and the truth shall make you free” (John 8:32). Beloved in Christ, bishops and pastors, honest in Christ and it is designed to especially prayerful deeds monasticism and monks, pious flock of the Russian Orthodox Autonomous Church! In this holy and blessed night of Christmas, the eve of the coming new year and performed a spiritual celebration of Christmas the Christmas holidays, I ask you to accept the congratulations and good wishes of prayer, so that our hearts were the Child Christ, that He fills our souls with joy inexpressible heavenly angels rejoicing and gave us blagodenstvennoe peaceful and life and all good pospeshenie. 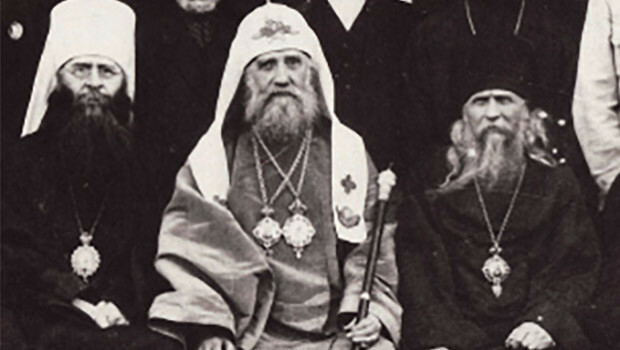 Keep the Orthodox faith all the days of your life, do not be afraid of persecution for Christ’s sake suffering with Him – a sure sign of the coming of salvation and union with Him in eternity. God bless all of you and all of us God-Infant Newborn Lord that He may grant He’s good for our eternal salvation. 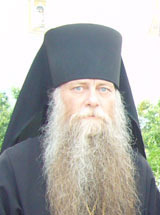 Metropolitan of Suzdal and Vladimir. Grad Suzdal, Christmas 2012/2013 г. Could you give us the original source of this message that seems automatically translated from Russian?